We haven't seen the gang at Breadsticks in awhile. They gather there on Valentine's Day. Don't you just love Tina and Mike? They make up our favorite Asian couple on Glee. Mercedes supports her fellow singers in this scene. 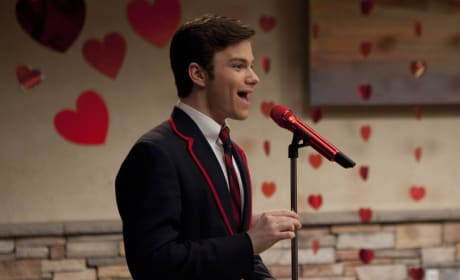 It's from the Valentine's Day episode of Glee. 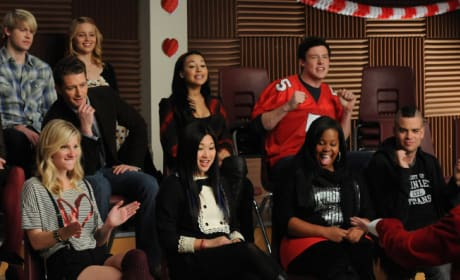 Will looks pleased to be watching Artie and Mike in this still from Glee, doesn't he? It's courtesy of the episode "Silly Love Songs." 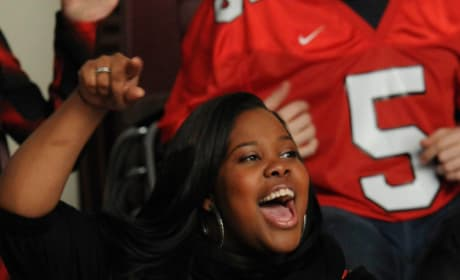 Love is in the air on Glee. In this episode still, the group watches Mike and Artie sing a song. Kurt steps to the mic here on Valentine's Day. 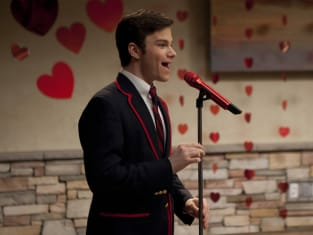 The episode is titled "Silly Love Songs."